Skopje, the capital of the Republic of Macedonia is an important, strategic center in the Balkan peninsula linking the east to the west, and the north with the south. It is the seat of the Macedonian Government and Parliament. 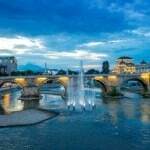 Skopje is situated in the Skopje Valley along the Vardar River, the biggest river in Macedonia, at 240 m above sea level. The city is surrounded by several mountain ranges: Skopska Crna Gora (lit.trans. Skopje’s Black Mountain) to the north, Vodno and Jakupica to the south. The river divides the city into a southern and a northern part. 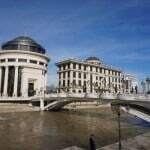 Skopje covers an area of 1818km2, 35 km along the Vardar River and about 20 km going from south to north. Skopje and its surroundings has a population of 700,000 inhabitants, which is about one third of the total population of Macedonia. 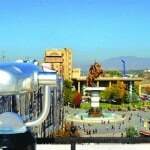 Skopje is thousands of years old and bears the burden of a turbulent history. At the same time it is a modern capital that offers rich cultural and natural attractions and an outstanding experience of a typical Balkan life.